I would say this is the most interesting employment case of the year from the Court of Appeals, which reinstates a religious discrimination jury verdict but finds the plaintiff is not entitled to any damages. What fascinates me is how the plaintiff's credibility was ripped apart at trial but he still won the case. The case is Wiercinski v. Mangia 57, Inc., decided on May 21. The evidence at trial was largely testimonial. Plaintiff told the jury he was repeatedly subjected to anti-Semitic abuse at work. Some of the harassment was quite ugly, with co-workers making Holocaust references. 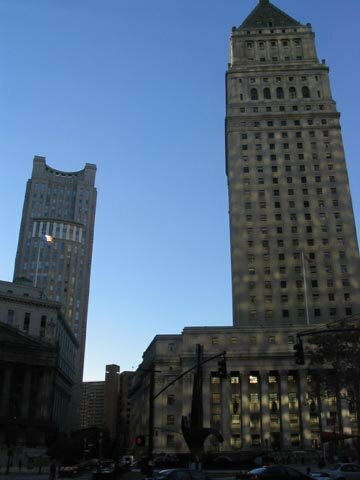 But the case also had problems, some of which are typical for employment discrimination cases, such as (1) management did move one of the harassers away from plaintiff for a brief period and (2) plaintiff had no medical evidence to corroborate his testimony that he suffered from depression and anxiety. But plaintiff's case also had extraordinary problems: (1) he invoked the Fifth Amendment 24 times during a brief cross-examination, which focused in part on plaintiff's alleged failure to report income on his tax returns and other financial improprieties; (2) plaintiff's witnesses were repeatedly impeached over their prior inconsistent testimony; and (3) one defense witness testified that plaintiff offered him cash money in return for favorable testimony, and even more money if plaintiff won the case. The trial court said that plaintiff's witnesses sounded like "the glib testimony of school witnesses reciting a lesson," and plaintiff did not rebut the cash-for-testimony evidence. Despite these problems, the jury found in plaintiff's favor, awarding him $1 in nominal damages and $900,000 in punitive damages. The trial court vacated the verdict. The Court of Appeals (Parker, Hall and Livingston) reinstates the verdict but says the district court properly vacated the punitive damages. The district court “determined that a judgment should be entered for the defendant notwithstanding the verdict (pursuant to Rule 50(b)) because [it] ha[d] a feel of this case that is indelibly engraved upon [its] consciousness for having seen and heard the witnesses and with an awareness of the nuances of their testimony . . . .” Although we fully understand the district court’s concerns, we cannot agree with its explanation for vacating the liability verdict. This was a case based entirely on testimonial evidence from both parties. The district court was “required to consider the evidence in the light most favorable to the party against whom the motion was made,” and to “disregard all evidence favorable to the moving party that the jury is not required to believe.” Although the district court was justifiably concerned by what it correctly perceived to be troubling conduct by Wiercinski and his witnesses, the jury was properly instructed on how to consider Wiercinski’s testimony in light of the invocation of the Fifth Amendment and chose to credit his version of the events, as well as the testimony of his witnesses. Given that testimony, the jury could rationally have concluded that Zbozien subjected Wiercinski to a hostile work environment. The district court’s rejection of the jury’s conclusion was essentially grounded in the type of evidence weighing and credibility determinations that are not permitted by Rule 50(b). There is no evidence in the record that Mangia “discriminated (or retaliated) against [Wiercinski] with conscious knowledge it was violating the law, or that it engaged in egregious or outrageous conduct from which an inference of malice or reckless indifference could be drawn.” The only conduct that can be imputed to Mangia that Wiercinski alleges was “malicious” or “recklessly indifferent” was Cymanow’s alleged failure to act after Wiercinski complained to her about the discrimination. Even if this fact could establish an employer’s liability for co‐worker harassment, it does not, by itself, warrant an award of punitive damages. The case is remanded to the district court to decide plaintiff's attorneys' fees motion. But the Court of Appeals suggests that plaintiff might not be entitled to any. "Given the highly unusual facts of this case, the district court would be well within its discretion to conclude that this is a rare instance where a plaintiff who 'formally prevails under Section 1988 should receive no attorneys' fees at all.'"